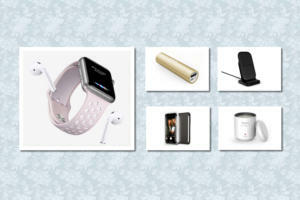 There’s a cup with a monocle in this week’s roundup of new iPad cases, alongside a few cats and some amazing plastic bubbles. And did we mention the monocle-wearing cup? 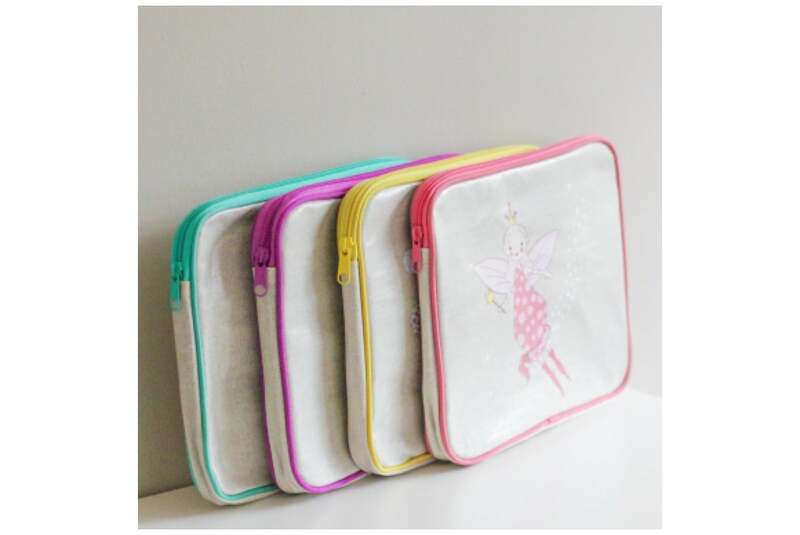 The Pink Fairy (all iPad models; $25) envelops your child’s tablet in a fully padded case with a water-resistant exterior that helps your little ones keep their electronics safe. Each case is velvet-lined for extra protection, can fit up to two full-size iPads, and comes in turquoise, pink, yellow, or red. The Hermes (iPad Air; $44) combines functionality with style by protecting your tablet in a case made of real leather. 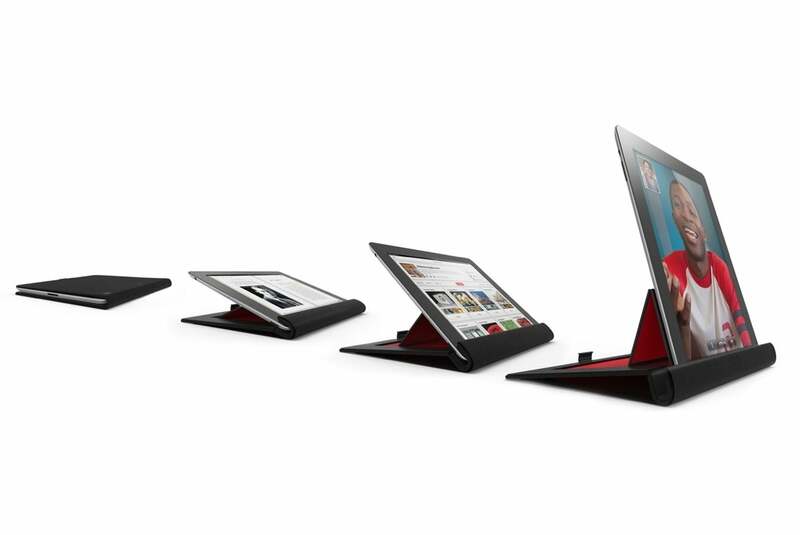 The case offers ready access to all ports and buttons, and doubles as a viewing stand in landscape orientation. It comes in brown or red. 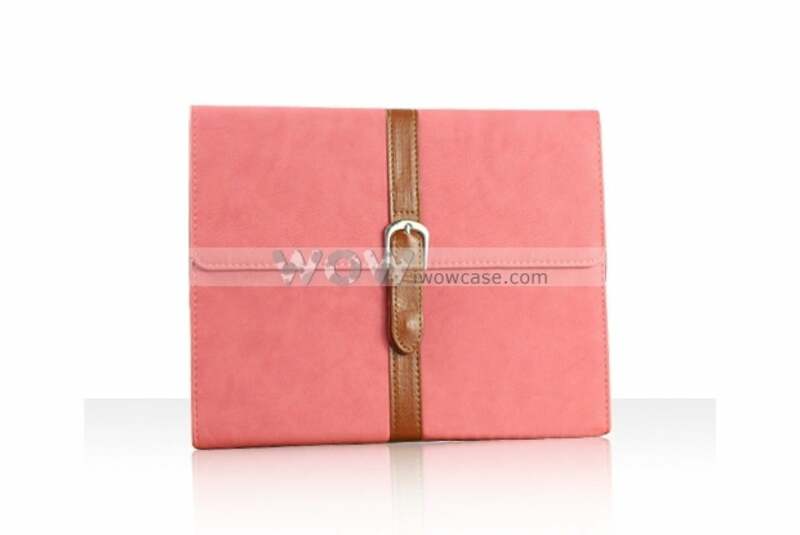 The FlipBook (iPad 2, 3, and 4; $60) is a simple and stylish, full-body folio case for your tablet that emphasizes ergonomics and ease of use. The case doubles as a viewing and typing stand in both portrait and landscape orientations, is compatible with the iPad Air’s magnetic sleep/wake feature, and comes in black or tan. The Neon Bubble (iPad Air; $40) sports a sleek, transparent, bubble-wrap-style exterior made from a lightweight polycarbonate plastic that protects and keeps dust away. The case is available in yellow, green, blue, and pink; and features a two-piece design with a snap-on frame and a cradle backing. 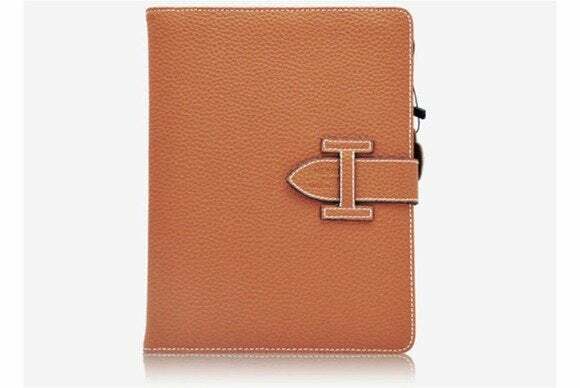 The Love Life (iPad Air; $23) is a stitched-leather case equipped with a metal button closure for additional protection. 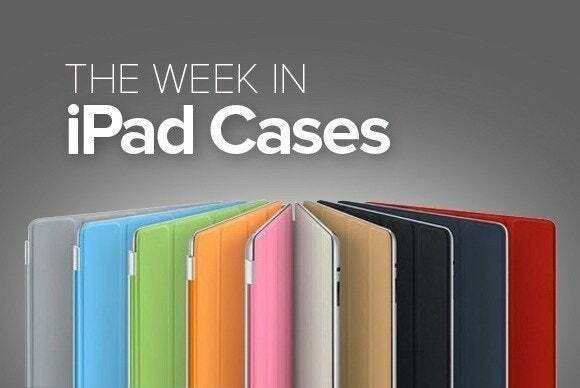 The case is compatible with the iPad Air’s magnetic sleep/wake feature; doubles as a viewing stand in landscape orientation; and comes in brown, yellow, pink, grey, blue, red, white, or black. 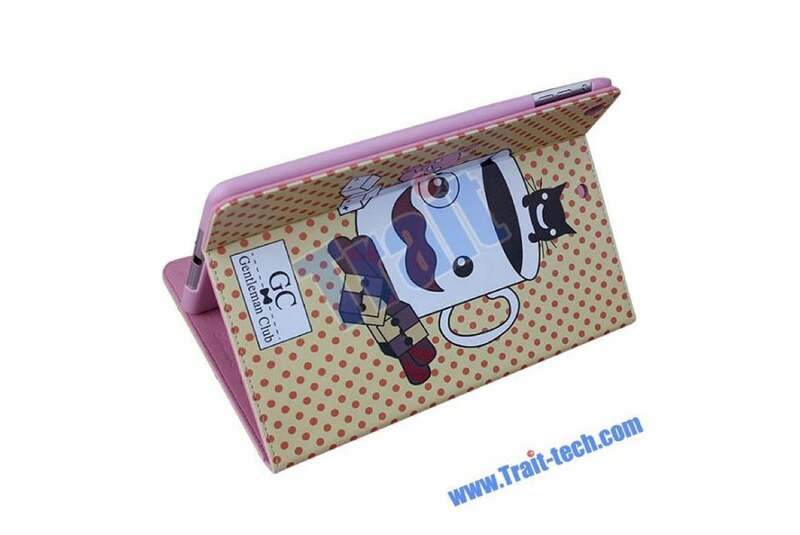 Made from real stitched leather, the Moustache protects your tablet from scratches and accidental drops, and doubles as viewing stand in landscape orientation. 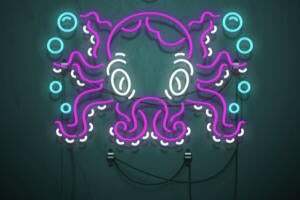 The Industrial Kraken A.M.S. (iPad Air; $90) fully encloses your tablet to protect it from the harshest conditions, including the chemicals most often found in household and industrial environments. Made of hardened, eco-friendly plastic, the case sports a built-in handle to comfortably hold your tablet while you’re on-the-go, and includes plugs and waterproof dust filters for ports, connection ports, and speakers. A number of additional accessories, including a handy shoulder strap, are available for purchase separately. 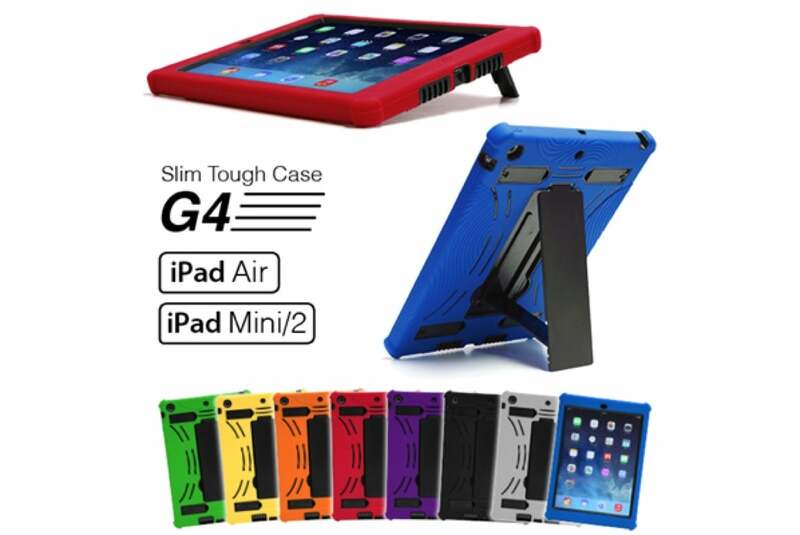 The Slim Tough Case G4 (iPad Air and iPad mini; $89) features an inner hard shell for shock absorption and an outer layer made with impact-resistant silicone that provides additional grip. The case doubles as a viewing and typing stand in both landscape and portrait orientations; comes with a complimentary anti-scratch screen protector; and is available in black, red, blue, green, yellow, purple, orange, or grey. The Nuova Pelle (iPad Air; $160) offers a minimalist design without compromising full protection of both the front and back of your tablet. 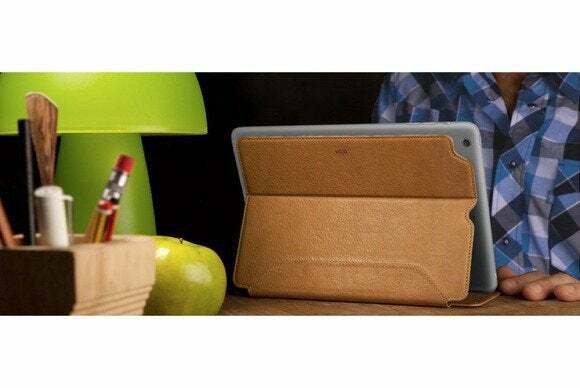 Made of vegetable-tanned Bridge leather, the case sports a reusable-adhesive backing for a slim fit, and is compatible with the iPad Air’s magnetic sleep/wake feature. The case comes in black, dark brown, or Durango.